In "high", the post moves to the elbow. One effective play out of "high" is the "chin" series. When the chin is tapped, 5 moves to the ball side elbow. 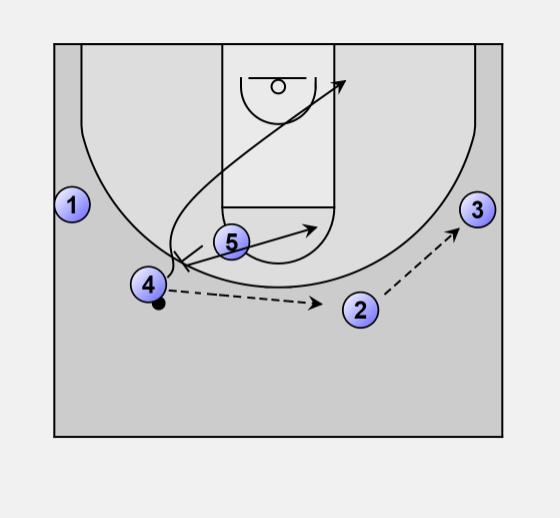 1 passes to 2 and uses 5's screen for a shuffle cut. 2 passes to 4, who looks at 1 underneath. After setting the back pick for 1, 5 headhunts 2's man for a flare screen. If 4 cannot get the ball to 1 underneath, he dribbles up and looks to pass to 2 coming off of 5's screen. 1 moves out to the wing. If 2 catches it, or if 2 cuts and 5 steps out, it is a top flare situation that could phase into "open". 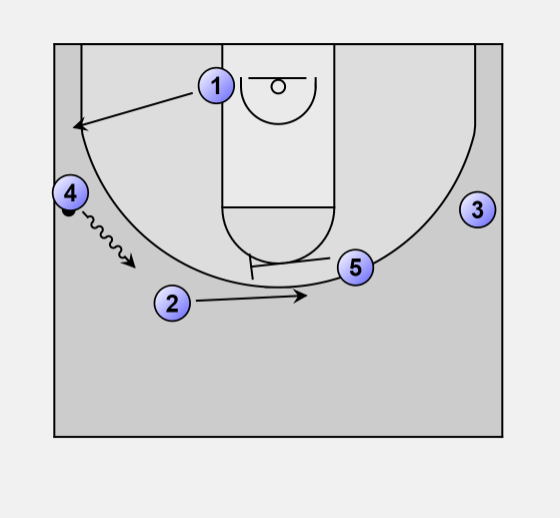 If 4 dribbles all the way up and passes to 2, then the play is run again. 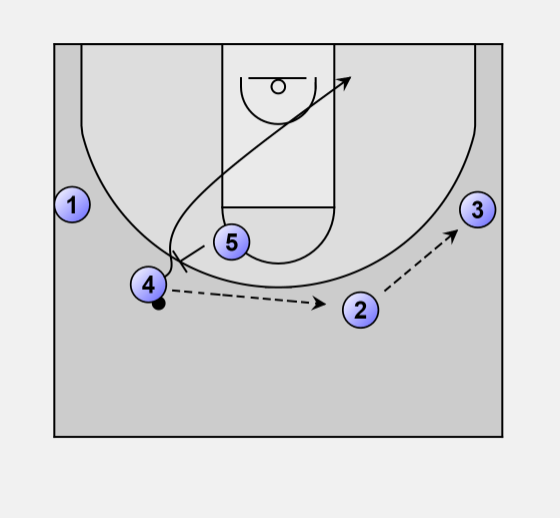 4 would shuffle cut and 2 would receive the flare screen. 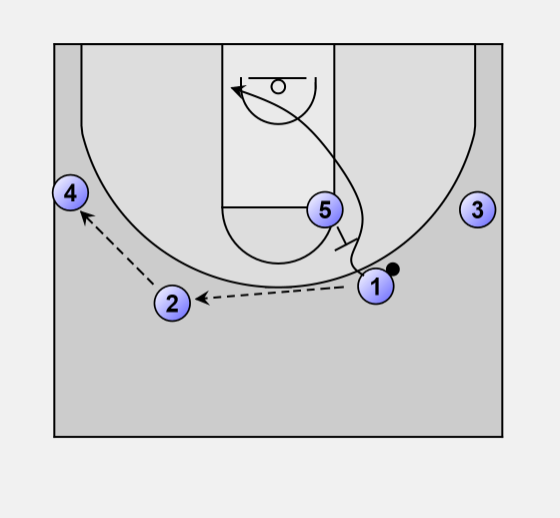 If while running "chin", 5's man looks to help on the shuffle cut, 5 might choose to flash to the ball after setting the back screen, rather than set the flare screen. This often sets up a good 1 on 1 situation for 5.